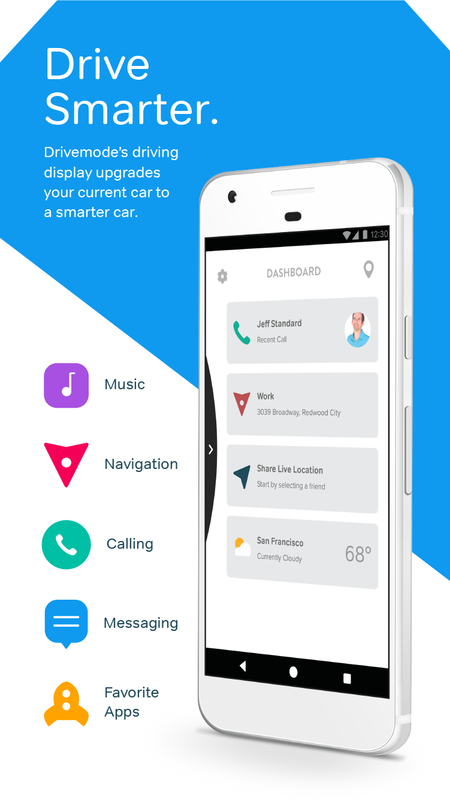 REDWOOD CITY, Calif., Oct. 18, 2017 /PRNewswire/ -- Drivemode, developer of a mobile-based connected car platform founded by entrepreneurs from Zipcar and Tesla Motors, today announced that the major 6.0 update to their Drivemode App will include location sharing, a user-requested feature. Drivemode's smart driving display app includes driver-friendly features such as voice-to-text messaging, music player overlay on navigation, "Do Not Disturb" mode, message auto-reply, and personalized travel recommendations. Regarding this new functionality, Drivemode Co-Founder and CEO Yo Koga said, "At Drivemode we want to make the road safer and we know that drivers who are less stressed will contribute to a safer driving environment. When you are running late or just on your way to meet someone, being able to quickly and safely share your location with a friend or family member can reduce anxiety over a late departure or unexpected traffic. As more people are on the road during the upcoming holidays, we know friends and family will also be happier knowing where you are and when they can expect you." 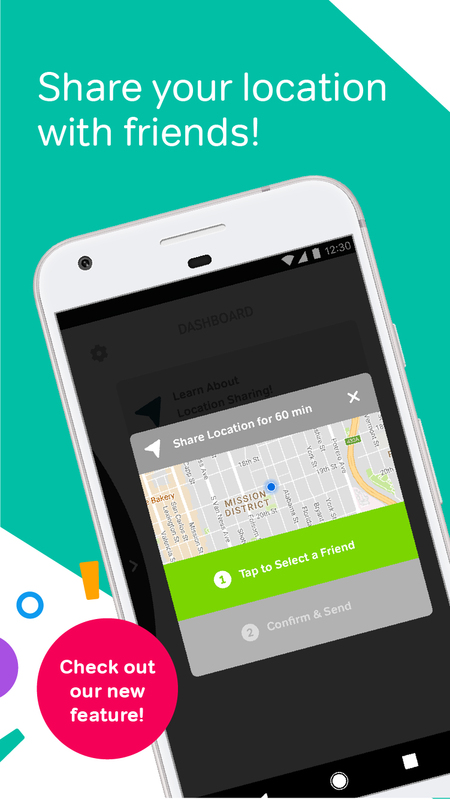 To initiate location sharing, a Drivemode user simply taps on the new "Share Your Location" card on the Dashboard and selects a contact. The driver's location is then sent to the selected contact. Drivemode has designed this feature to be optimally used while in the act of driving, unlike other apps which offer similar functionality. This feature marks the next big update to the Android app, showing that the pace of innovation in automotive technology will not be slowing any time soon. Drivemode's Android App has 1.2 million downloads in 150 countries and is available to download free at bit.ly/getdrivemode. Drivemode Co-Founder and Product Manager Jeff Standard said, "Our team is extremely active in the Drivemode community and we take feedback from our users very seriously. During our beta testing of the location sharing feature, we implemented community recommendations to create a great user experience. We love how passionate Drivemode users are and look forward to building Drivemode together with them." Drivemode simplifies how you use your phone while driving. With a streamlined interface to safely access your favorite applications, Drivemode's voice-enabled commands and large buttons let you to focus on driving. 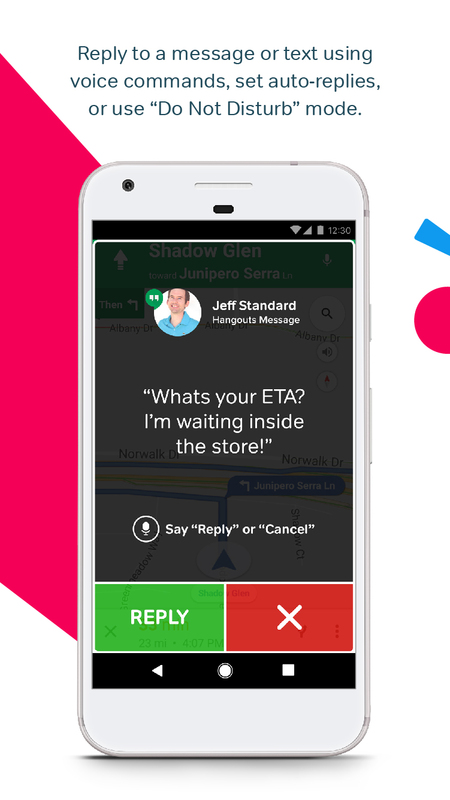 Use voice-control, a broad swipe, or a single tap and move seamlessly between applications. Drivemode enables smarter, safer, connected driving in any vehicle.Founded in 2014 by entrepreneurs from Zipcar and Tesla Motors, Drivemode is working to fundamentally change the way consumers use technology in the car. Drivemode offers a mobile-based connected car platform through a consumer-facing Android app, driver assistance and analytics for fleet managers, and a bring-your-own-device connected car solution for automakers. 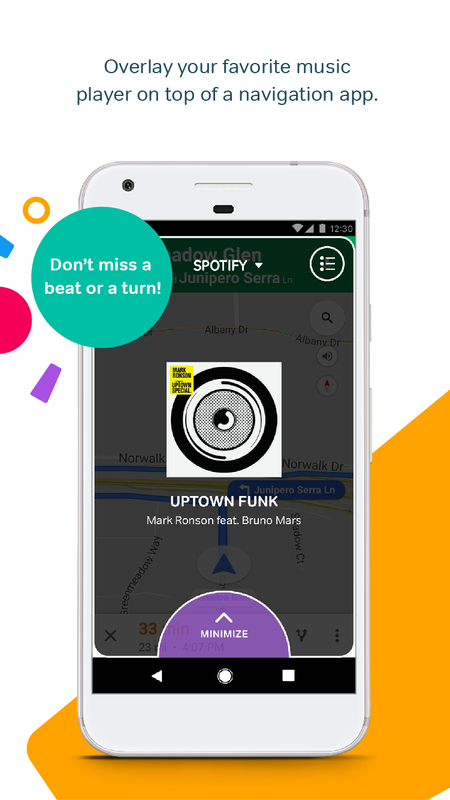 The Drivemode app transforms a user's phone into a car's central computing device allowing voice-to-text messaging, music player overlay on navigation, "Do Not Disturb" mode, message auto-reply, and personalized travel recommendations. The Drivemode app has an automotive-grade interface designed and developed to adhere to National Highway Traffic Safety Administration safety guidelines for driving apps. Drivemode has raised $9.2M from industry leaders. Learn more at https://drivemode.com or download Drivemode at bit.ly/getdrivemode.